Stuck for time in the morning? Don't skip brekkie or gorge on sausage sarnies....get these protein overnight oats in your belly!! Simply make them the day before and in the morning grab and go. Perfect if you're working out first thing and want a hassle free meal. Mix it all up and stick it in a container. Whack that in the fridge and leave overnight. In the morning top with some goodies (within reason). 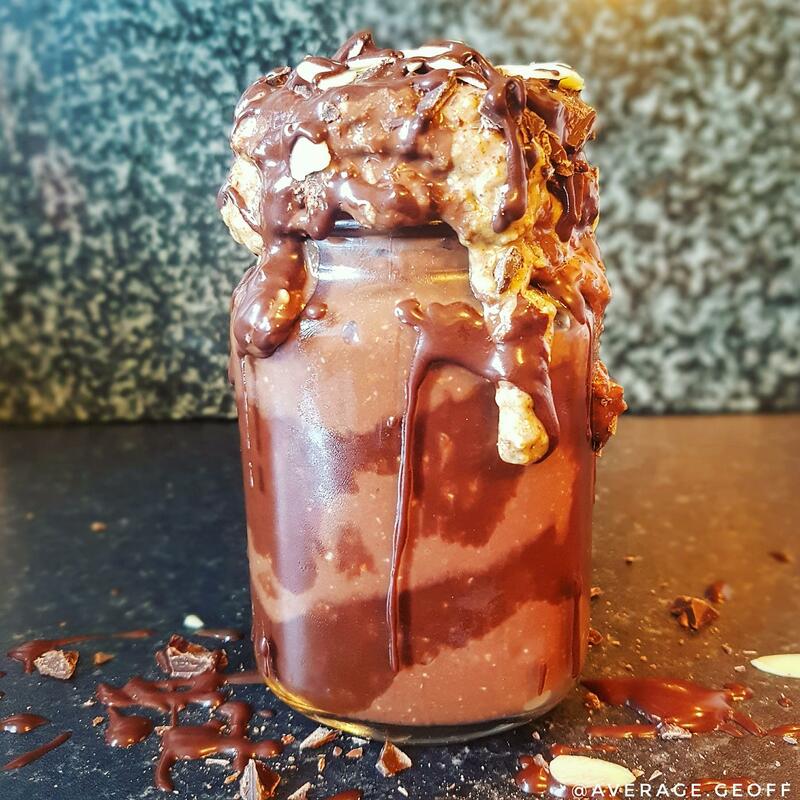 I used 1 tablespoon of Meridian Foods Peanut Butter, some Flaked Almonds, 1 chopped up square of Dark Chocolate and 1 tbsp of my Refined Sugar free Chocolate Sauce (1 tbsp Honey, 1 tbsp Cocoa and enough water to your preferred thickness).